Young people have been at the forefront of political conflict in many parts of the world, even when it has turned violent. In some of those situations, for a variety of reasons, including coercion, poverty, or the seductive nature of violence, children become killers before they are able to grasp the fundamentals of morality. It has been only in the past ten years that this component of warfare has captured the attention of the world. Images of boys carrying guns and ammunition are now commonplace as they flash across television screens and appear on the front pages of newspapers. Less often, but equally disturbingly, stories of girls pressed into the service of militias surface in the media. A major concern today is how to reverse the damage done to the thousands of children who have become not only victims but also agents of wartime atrocities. 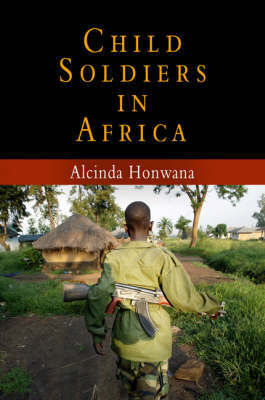 In Child Soldiers in Africa, Alcinda Honwana draws on her firsthand experience with children of Angola and Mozambique, as well as her study of the phenomenon for the United Nations and the Social Science Research Council, to shed light on how children are recruited, what they encounter, and how they come to terms with what they have done. Honwana looks at the role of local communities in healing and rebuilding the lives of these children. She also examines the efforts undertaken by international organizations to support these wartime casualties and enlightens the reader on the obstacles faced by such organizations.